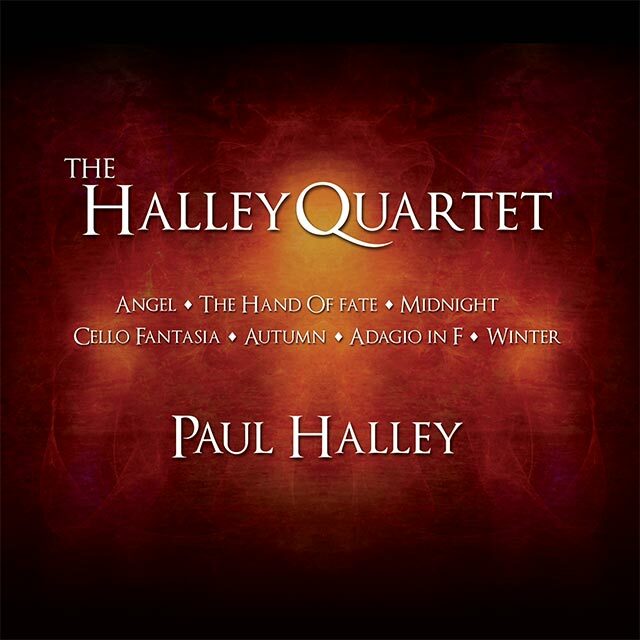 Buy Paul Halley’s first CD featuring the tracks Angel, The Hand of Fate, Midnight, Cello Fantasia, Autumn, Adagio in F and the ever popular Winter. The track ‘Winter’ is also available for free download, just click Winter below then right-click the ‘Download’ link under the audio player. All tracks performed by Adrian Keating, Sarah Moir, Joanna Landstra, Ilir Merxhushi. Solo violin in “Angel” by Sarah Moir”. Cello Fantasia performed by Ilir Merxhushi. Thank you for sharing your wonderful music with us!! Your “Winter” is amazing – a masterpiece! Hey there. Your music is brilliant. As many here, I found you thanks to the “Maker”. While watching, I had a feeling, that the music is unique. It’s hard to describe what I mean exactly. It’s like someone could tell me, that you were a friend of Vivaldi or Dvorak and I would believe. I can feel that in every second of any of your compositions there is a story, infused with your soul. I could now get rid of any music I own and stick to your masterpieces till the day I die, honestly. It’s just amazing… I can’t describe my feelings. Thank you so much for your music! You have faithful listeners in Russia! You are God of classical music. Thank you, thank you, thank you. You’re music is amazing. Thank you. You’re music is amazing. Thank you so much for making it available. When I need to get away from the hardships of life I come to this site; Winter is my favorite <3 Thanks again. Hmmm armenia hey? Probably not in the next couple of weeks! Thanks. Yes midnight is probably one of my favorites too! Very beautiful, thank you very much! Thanks Nerdine, I appreciate it. me encanta que tu música sea gratuita! 😀 la verdadera música es la que se puede disfrutar sin ningún pago. Excelente cada nota que sale del violín <3 simplemente hermoso! well…everything I feel has been already said and some I can’t descripe but I want to say…thank you for making music. It is a huge pleasure to listen to something with a soul. PS: I don’t know if it’s interesting for you but just have a look ^^. in Kronberg they have Violin and Cello Masterclasses. Each for their own for about a week. So if you happen to visit Germany it’s a good place for getting maybe contacts and stuff. Hope it helps a bit ^^. Thank you. The music you have composed is fantastic and flows so fluidly – I simply adore Autumn and Midnight! The artists playing are also sensational, but the music is crazy captivating. I appreciate the free download, as does everyone!! I really, really thank you for the moment. awwww yes its very touching! I fell in love with your piece, “Winter,” and I’d love to have the score. I’m not sure if you have it posted or not (I’m a bit tech challenged) but I really wanna play it! Anyway, thank you for your high quality work. I will be getting them published soon so will be able to be purchased then. Simply, Amazing, i love the part of Winter Sound, in the Maker animation when is used by the Rabit to give life to the new Maker. Great work, and congrats from guadalajara Jalisco Too. Thanks! Yes i like that part too!